The Battle of Cieneguilla (pronounced sienna-GEE-ya; English: small swamp) was an engagement of the Jicarilla War involving a group of Jicarilla Apaches, possibly their Ute allies, and the American 1st Cavalry Regiment on March 30, 1854  near what is now Pilar, New Mexico. The Santa Fe Weekly Gazette reported that the action "was one of the severest battles that ever took place between American troops and Red Indians." It was one of the first significant battles between American and Apache forces and was also part of the Ute Wars, in which Ute warriors attempted to resist Westward expansion in the Four Corners region. Companies F and I, regiment of the First Dragoons camped at Cantonment Burgwin, an army post 10 miles southeast of Taos. While on patrol, 60 dragoons engaged in an unauthorized attack on the Jicarilla Apache encampment near Pilar, then known as Cieneguilla, after First Lieutenant John Wynn Davidson exceeded the orders of his superior officer, Major Blake. A combined force of about 250  Apaches and Utes laid an ambush for the U.S. dragoons. In his report two days after the battle, Davidson stated that "[He] came upon the Apaches near Cieneguilla who at once sounded the war whoop." According to Private James A. Bennett (aka James Bronson), a sergeant who survived the ambush, the battle lasted about four hours. It started around 8 a.m. and ended when the dragoon regiments retreated at 12 p.m. to Ranchos de Taos. The Apache warriors used flintlock rifles and arrows. Of the 60 dragoons present, the U.S. suffered twenty-two killed and a further thirty-six wounded, along with a loss of twenty-two horses and much of the troops' supplies. Another version of the fight  presents the view that Davidson and his troops were not ambushed, but rather were taunted by the Apaches into attacking a superior force, one that also employed superior tactics. This modern version also has the duration of the fight being closer to two hours than the four that Davidson and Bennett claimed. Lieutenant Colonel Philip St. George Cooke of the Second Regiment of Dragoons at once organized an expedition to pursue the Jicarilla. With the help of Pueblo Indian and Mexican scouts under Captain James H. Quinn, with Kit Carson as the principal guide. After a winter pursuit through the mountains, Cooke caught and defeated them April 8, at their camp in the canyon of Ojo Caliente. Dispersing in small bands, the Jicarilla evaded further pursuit, but many died from the harsh cold weather. 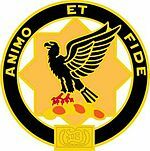 The First Regiment of Dragoons were renamed the 1st Cavalry Regiment in 1861. Much of the blame for the loss of life was put on Lt. Davidson. Lt. David Bell accused Davidson of risking the lives of his soldiers when he could have avoided the ambush. However, Brig. Gen. John Garland praised Davidson when stated that "The troops displayed a gallantry seldom equalled in this, or any other country and the Officer in Command, Lieut. Davidson, has given evidence of soldiership in the highest degree creditable to him. To have sustained a deadly control of three hours when he was so greatly outnumbered, and to have retired with the fragment of a company, crippled up, is amazing and calls for the admiration of every true soldier." On March 10, 1856, John Garland called a court of inquiry to meet at Taos, New Mexico. After many witnessing declarations, the court declared that Davidson could not have avoided the confrontation and "that in the battle he exhibited skill in his mode of attacking a greatly superior force of hostile Indians; and prudence, and coolness, and courage, throughout a protracted engagement; and finally, when he was obliged to retire from the field, owing to the great odds opposing him, the losses he had sustained, and the scarcity of ammunition; his exertions to bring off the wounded men merit high praise." Cenotaph marking where the body of a killed dragoon was found. Carson National Forest received a grant of a value of $35,400 from the National Park Service's American Battlefield Protection Program. The grant was aimed to perform an archaeological excavation at the site of the Battle of Cieneguilla. It took a year to locate the battlefield. 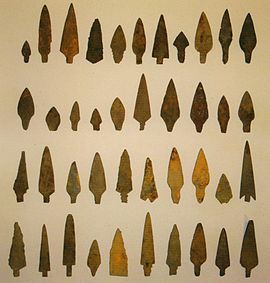 Although some artifacts were found on the battlefield, the surveys' final findings may be found in Douglas Scott's Fields of Conflict, vol. 2. The findings support most of Lt. Bell's criticisms of Lt. Davidson's tactics and his conclusion that the command had been thoroughly routed. ^ Davidson, Homer K. (1974). Black Jack Davidson, A Cavalry Commander on the Western Frontier: The Life of General John W. Davidson. A. H. Clark Co. p. 72. ISBN 0-87062-109-2. ^ Davidson, Homer K. (1974). Black Jack Davidson, A Cavalry Commander on the Western Frontier: The Life of General John W. Davidson. A. H. Clark Co. p. 70. ISBN 0-87062-109-2. ^ Brooks, Clinton E.; Frank D. Reeve; James A. Bennett (1996). Forts and Forays: James A. Bennett, A Dragoon in New Mexico, 1850—1856. University of New Mexico Press. ISBN 0-8263-1690-5. ^ "Chapter Three: Military Operations Before the Civil War". Fort Union: Historic Resource Study. United States National Park Service. 2005-07-09. Archived from the original on 2007-02-07. Retrieved 2007-02-16. ^ a b Orders No. 1, HQ DNM, Feb. 9, 1856, DNM Orders, v. 36, p. 346, USAC, RG 393, NA. ^ Garland to Thomas, April 1, 1854, Sen. Ex. Doc. No. 1, 33 Cong., 1 sess. (Serial 747), pt. 2, pp. 33-34. ^ Orders No. 3, HQ DNM, Mar. 26, 1856, ibid., 348-349.